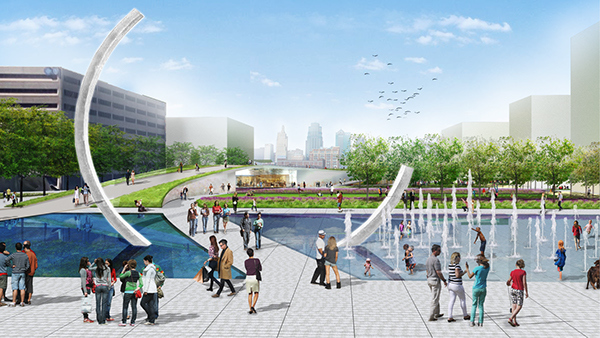 Washington Square Park is a Public-Private partnership and public open space development project in downtown Kansas City. 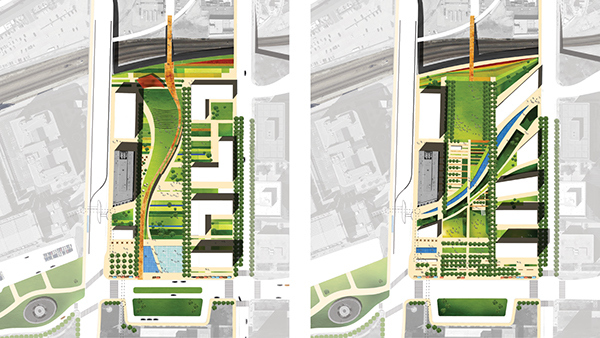 Coen+Partners has designed the park to connect the historic patterns of development and infrastructure to contemporary park programming. Passive and social uses establish a spatial framework that allows users to experience the space in varying ways, through out the seasons. Water, art, food, transit, and social interaction merge in a lush network of gardens and shaded groves. View corridors are captured to and from the park, further integrating the open space into the fabric of its surroundings. Washington Square Park will be a highly visible destination that is culturally and financially self-sustaining. 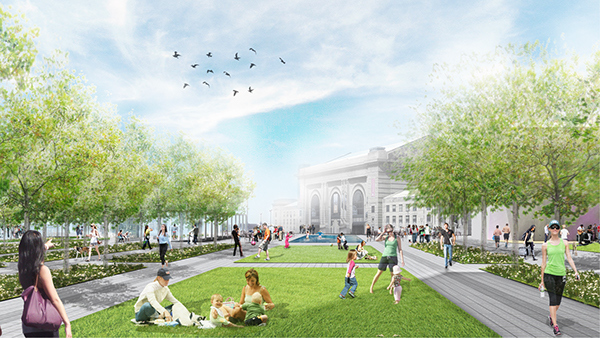 The park will return as a central node to the burgeoning Crown Center and Union Station district. The park will become the transit hub at the start of the proposed streetcar line. 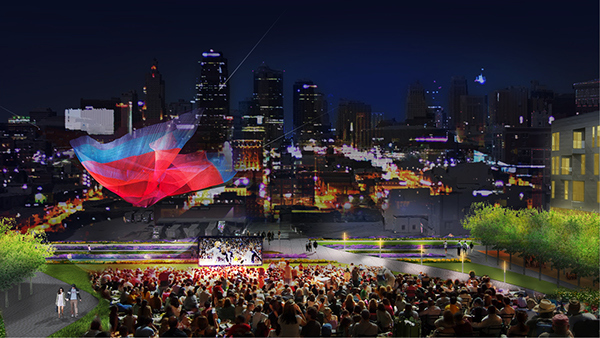 The design of the park reintegrates a strong connection to the surrounding context, including the Crossroads neighborhood and establishes itself as the gateway to downtown. Washington Square Park is a Public Private partnership and public open space development project in downtown Kansas City. Coen + Partners has designed the park to connect the historic patterns of development and infrastructure to contemporary park programming. Passive and social uses establish a spatial framework that allows users to experience the space in varying ways, through out the seasons. Water, art, food, transit, and social interaction merge in a lush network of gardens and shaded groves. View corridors are captured to and from the park, further integrating the open space into the fabric of its surroundings. Washington Square Park will be a highly visible destination that is culturally and financially self-sustaining. The park will return as a central node to the burgeoning Crown Center and Union Station district. The park will become the transit hub at the start of the proposed streetcar line. 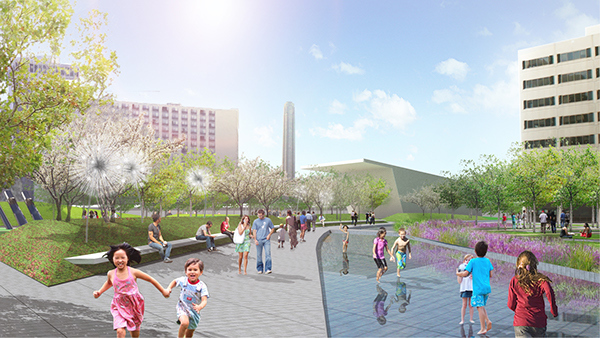 The design of the park reintegrates a strong connection to the surrounding context, including the Crossroads neighborhood and establishes itself as the gateway to downtown.